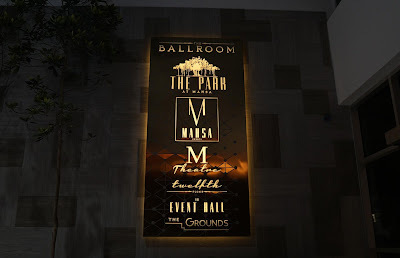 Congratulations to MAHSA University for expanding its campus at Bandar Saujana Putra with the grand opening of it's The Ballroom on Thursday, 7 March 2019. We were honoured to be invited to the grand opening ceremony on that lovely evening. It was our first time visiting the campus. Located at Jenjarom, it is easily accessible by ELITE highway. We are impressed with the huge and stunning ballroom. 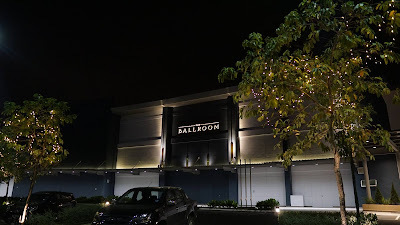 In fact, The Ballroom has a total gross area of 15,500 sq ft and can seat 800 to 1000 people in banquet style seating and 2,000 people in theatre-style arrangements. It is pillar- less and has a stylish ceiling design that houses six chandeliers with remote controlled LED lighting to set the ambiance for your event. There is has up to 700 car-park bays for guests. The Ballroom is installed with a centre 4K LED screen and a state of the art sound system. With the multi-color lighting, your event is surely a stunning one here at The Ballroom. It is also equipped with a VVIP holding room, 2 VIP parlours, and adjoining function room. 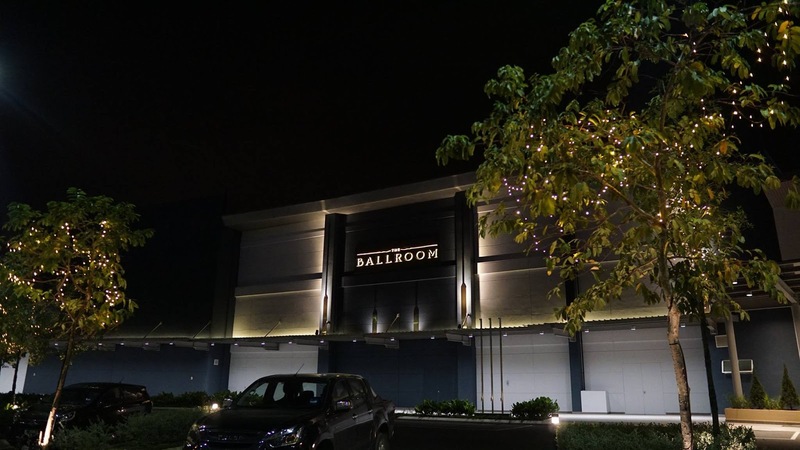 The Ballroom is ideal for weddings, special events and corporate functions. 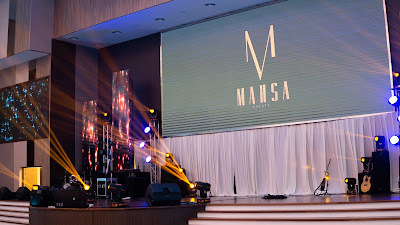 During the grand opening of The Ballroom, Dato’ Dr Anita, a member of MAHSA Board of Directors said that the purpose of the launch party was to introduce another facet of the MAHSA name, MAHSA Events. 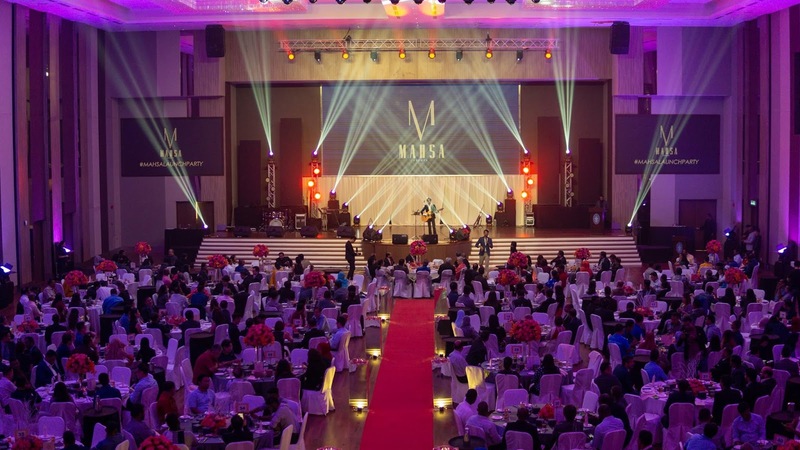 She explained that for the last 15 years, MAHSA Group has been focusing on healthcare and education, but has now expanded into event management. MAHSA Events is commercializing and promoting 6 event spaces to suit any budget and any occasion. The University also has numerous other facilities such as amphitheaters, sporting facilities, several other auditoriums, lecture halls, clinical skills labs, laboratories and simulation facilities required for training healthcare providers. MAHSA Events' professional team, with the aid of a panel of caterers, decorators, and sound and light crew, is ready and able to undertake any event and make it a success. Take a look at MAHSA Events' space yourselves and be impressed with what they have to offer. The venue would surely make your event a magnificent one. For enquiries, please call 010-903 3709. 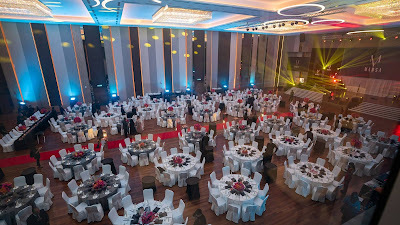 I really love the way you took photo of this ballroom, from the top. So we can see each space of the ballroom. Ya been there too! It's very large and spacey. I really like the ballroom tho with the auto light chandelier. Nice and big ballroom. Suitable for those who want to make private function and wedding of cos. furthermore the facilities provided by the uni is complete so its great. Congratulations MAHSA University for the expanding. wahhh now we can rent a ballroom for event. never know that MAHSA offers this kinda service. now i knwo so i can start surveying for my upcoming event. plus, it is near to my house so easily to reach there. Cantik besar luas ballroom MAHSA ni... Kemudahan pun dah complete siap sedia. 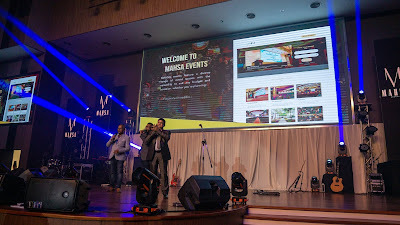 Beruntung orang Bandar Saujana Putra. The ballroom is so huge! Congrats Mahsa for expanding on event management. It was only known for education line before.